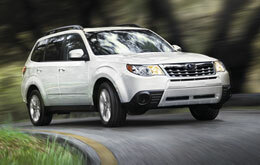 To begin reading Van Subaru's 2013 Forester review, scroll down below the video. Where do we get these Forester reviews? From leading writers in their industry. As you read this article, you'll see that it is packed with practical facts on all of the things you'r looking for in the new Forester. As always, Van Subaru is available seven days a week to answer any questions you might have. Don't hesitate to call and speak with a representative. When comparing the 2013 Subaru Forester to the 2013 Hyundai Tucson, Chevrolet Equinox, Volkswagen Tiguan, GMC Terrain and the Ford Escape, and you'll discover that the Forester outperforms those autos in oodles aspects. Get a load of just a few of the reasons below. Van Subaru's car repair employees have served Kansas City for years with amazing workmanship and trustworthy Subaru parts. If you shrug off getting dependable repair work, your Subaru Forester's vitality might be impaired, so drive it to the esteemed mechanics at Van Subaru. The following is only a fraction of what we handle: tire alignment and checks, shock and strut repairs, battery replacement and much more. We also manage a variety of supplementary services. 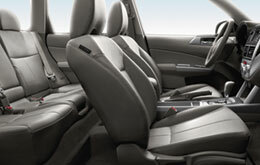 Above this, Van Subaru offers one of a kind customer service and economical prices. The link under this paragraph is your roadway to savings! Click now and you'll be linked to our coupon specials page!